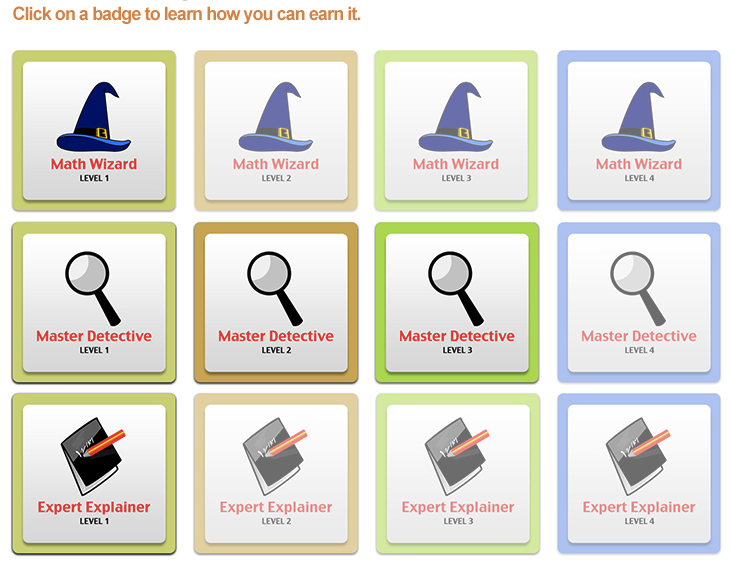 the badge system integrates well with the existing learning activities. A primary motivation for Mozilla’s development of Open Badges was in order to recognize skills and achievements that aren’t traditionally recognized. Teachers in areas such as Physical Education, Technology, Special Education and Art are already seeing the value of badges for recognizing their students’ achievements. This approach is to creating a badge system is demonstrated by Warren Grieve in his ICT Ladders for Badges. 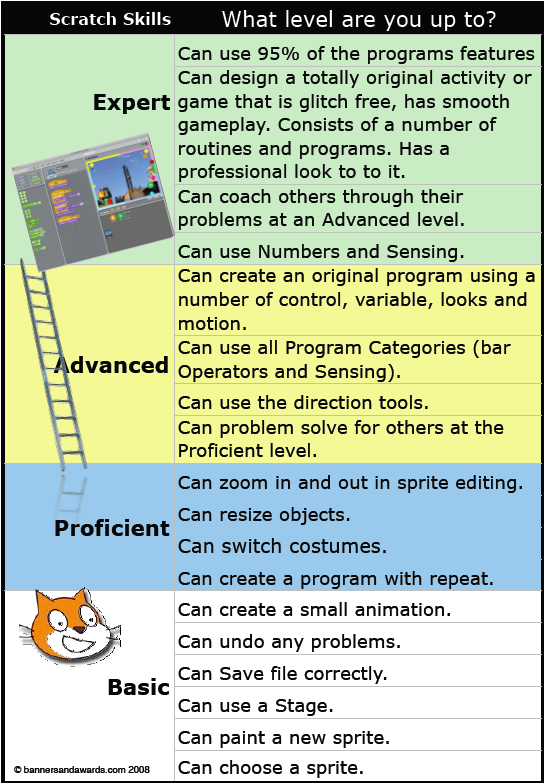 Below is an example rubric he previously developed for evaluating skills with MIT’s Scratch programming language. 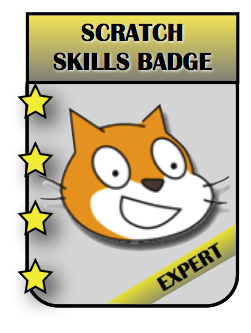 Below are the complementary badges that he designed for ICT Ladders for Badges that correspond to each of the levels of achievement in the rubric. 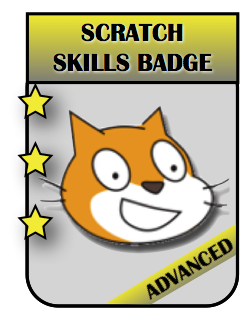 The criteria for earning a badge is the same as the criteria specified in the original rubric. share their accomplishments with others. A common use for rubrics in the classroom is for supporting student learning and development. 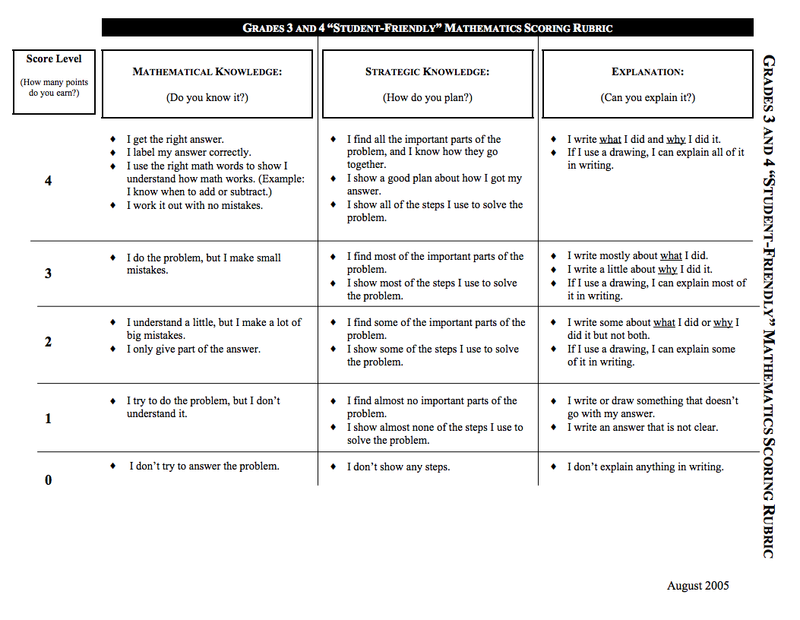 This kind of instructional rubric is typically written in student-friendly language to help students evaluate their own work and improve overtime. This use of rubrics is well demonstrated by the set of rubrics provided by the Illinois State Board of Education (ISBE) to support student learning for effectively solving math word problems. This set of rubrics includes a scoring rubric for use by the teacher and three age appropriate versions of the rubric for use by students. The process of learning how to solve math word problems is an ongoing learning activity and requires a significant amount of practice and feedback. The student friendly rubric is effective at making it clear to students what the expectations are for this learning activity. The second change we made was to eliminate the score of zero. By its nature, badge criteria is positive. Although it makes sense to award a score of zero if the student doesn’t attempt an answer. It doesn’t make as much sense to award a badge for doing nothing. Below is what our initial badges look like. The last change we made was to convert the scoring guidelines to badge criteria by removing negative scoring guidelines, since the negative guidelines are implicitly included in the leveled badges. 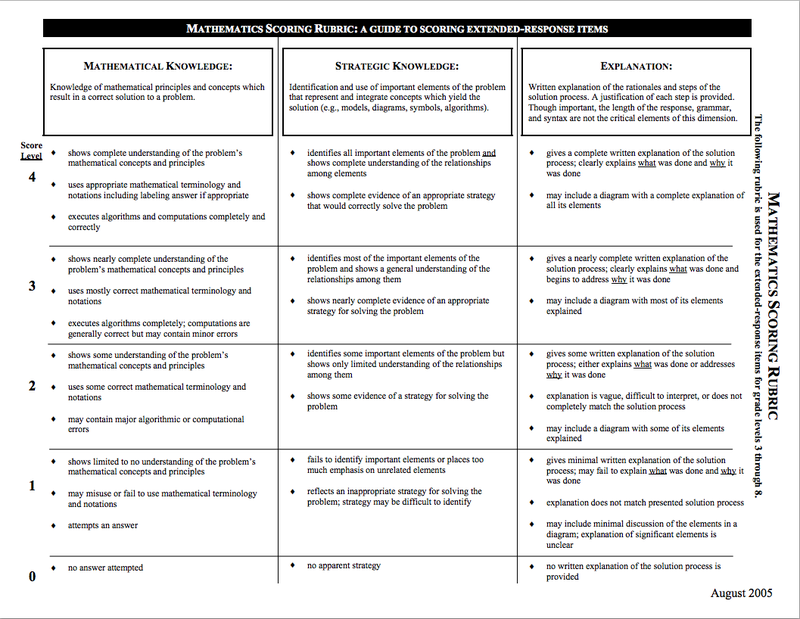 Below is the the criteria for Math Wizard badges including the struck out text from the original Grade 3-4 Student Rubric for Mathematical Knowledge. I get the right answer. I label my answer correctly. I work it out with no mistakes. I do the problem, but I and only make small mistakes. I understand a little, but I make a lot of big mistakes. I only give part of the answer. I try to do the problem, but I don’t understand it. I don’t try to answer the problem. the student badge system for visualizing the learning path. We’re in the process of developing a new version of ForAllRubrics that supports both Rubrics and Badges. This new version will support a badge design process like what has been described in this post. It will let teachers complete scoring rubrics and the system will automatically generate the appropriate badges for the students. The students (and their parents) will be able to view the student friendly rubric to understand the scoring on a particular assignment. The teacher, the student and their parents can view the student’s awarded badges to reflect on the student’s accomplishments to date and view potential badges for setting goals for the future. If you’re interested helping us test out our new “ForAllRubrics + Badges” and giving us feedback, please send us an email to info@forallsystems.com and we’ll get you set up. We greatly appreciate comments and suggestions.